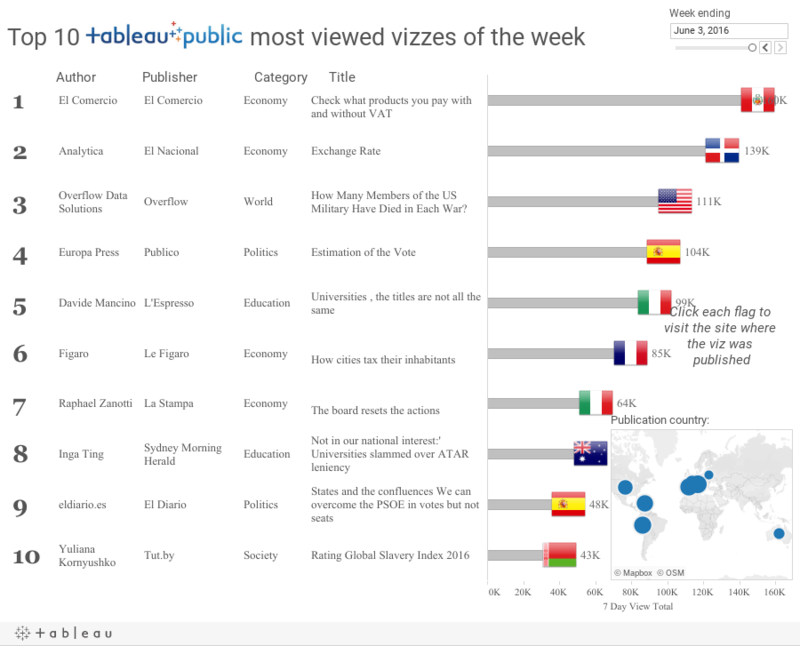 There are many different types of Tableau Public authors—from data bloggers to scientists, to researchers and students. One specific type of author can continually, and almost exclusively, be found at the top of the list of most-viewed vizzes each week: data journalists. February is #DDJMonth on the Tableau Public blog, and we'll be shining the spotlight on those talented professionals around the world who are showing us the data angle on the stories of our time. Here at Tableau, we feel honored to be able to work with them every day. What Is 'Data Journalism' Anyway? Then why all the hype? This is the spot in the article where pundits insert some familiar statement about how we're "awash" or "drowning" in a sea of data (or better yet, a sea of "big data") or about the proliferation of tools to make use of "all that data." That all may be true, but the fact is we now find ourselves in a world of increasing data literacy. 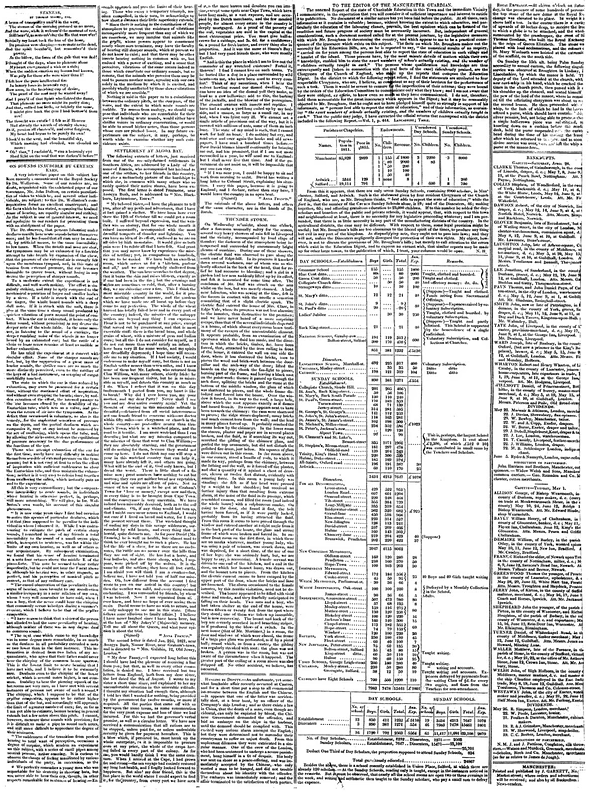 Readers have come to expect charts, graphs, and maps for election coverage, in-depth sports analysis, economics features, and even entertainment news. There's a data angle to every story. And it's not just for the web. Data appears in print, on TV, and will surely appear in a virtual reality story near you, soon, too. How do all those visualizations get made? Journalists today use a variety of amazing tools such as D3, R, Datawrapper, Quadrigram, and Tableau Public, among others. All of these tools have their unique strengths and belong in the tool kit of any news organization that's serious about telling the news with data. Tableau Public's unique strength is that it gives journalists, whether they are programmers or not, the ability to quickly find the story in the data and create richly interactive graphics to embed on their sites. Instead of telling you about it, why don't I show you an example? Last week Eryk Bagshaw and Inga Ting of the Sydney Morning Herald published a story entitled "NSW Universities Taking Students with ATARs as Low as 30." 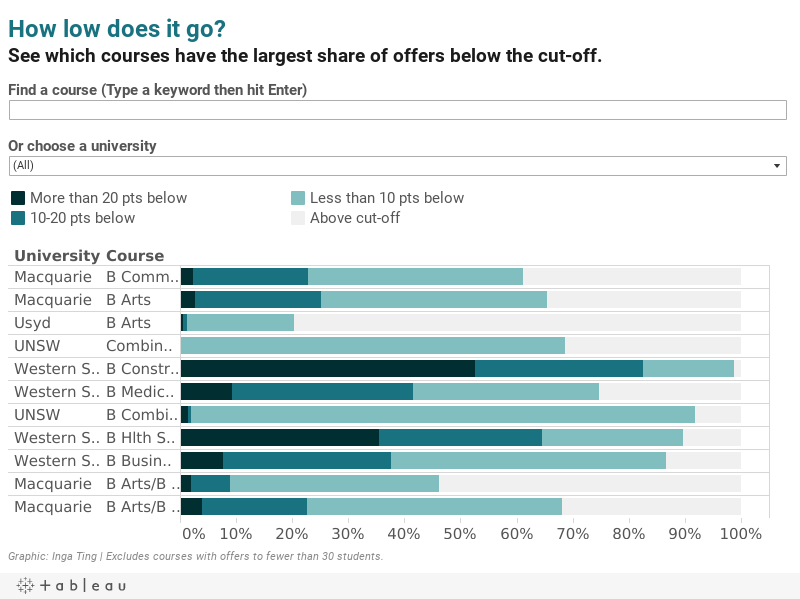 In it, they exposed that many universities in New South Wales are accepting students well below the advertised minimum course cutoffs. The visualization has driven almost a quarter of a million views to date, and the article has 162 comments as of publishing time. Expect to see more great examples of data journalism, or "journalism that also includes data" if you prefer, throughout the month of February. We'll also feature guest blog posts by storytellers who work with data on a regular basis. Tapestry and NICAR Are Just around the Corner! In closing, every February the Tableau Public team is busy getting ready for two big US-based events: the Tapestry Data Storytelling Conference and NICAR. We run Tapestry, where we get to meet with not only journalists but also academics, designers, tool developers, and leaders from the public- and private sectors to talk about data storytelling. This year's journalist Tapestry presenters are Scott Klein of ProPublica and Alan Smith of the Financial Times. This year's event will be held on March 9 in Estes Park, Colorado. If you are able to join us, visit the Tapestry site and request an invitation as there are still a handful of spots open. After Tapestry, we'll jump on a shuttle with the other NICAR attendees and head back to Denver, where the Tableau Public team will train journalists on how to create individual visualizations, richly-interactive dashboards, and sequential data stories that we call Story Points. We're also training a special session on how to create visualizations for mobile readers as we know this is a critical and fast-growing segment for news sites everywhere. If you're going to NICAR and you are interested in joining one of our four training workshops, you can find more information on the NICAR site. Thanks for reading! We hope you enjoy #DDJMonth as much as we will. NICAR brings back fond memories. I only had a hint of an idea of what visualizations were and a hunger to tell stories in a new way. The tableau public team was extraordinary, walking me through a dataset I had brought and empowering me to make it into something memorable. One year later, vizzes have become a major part of my communications toolkit. Thank you doesn't begin to pay the team back.